Working in real estate requires hard work and dedication, but the rewards are plenty. Real estate offers excellent income potential, flexible work hours, and freedom to set your own pace. But working in this field is like anything else. You need the right education, training, and drive to compete with the best in the biz. To get started, follow the steps below to ensure your future success and profitability. University of Pennsylvania in Philadelphia: The Wharton School’s real estate department offers concentrations in real estate at three levels: undergraduate, MBA, and doctoral. University of Wisconsin – Madison: Wisconsin’s School of Business offers undergraduate, MBA and Ph.D. programs in business administration with a real estate concentration. University of California – Berkeley: The Hass School of Business offers undergraduate and graduate programs in real estate, including an MBA with a real estate concentration. University of Georgia: The Terry College of Business offers a real estate major for undergraduates in addition to MBA and Ph.D. degrees in the field. University of Southern California: USC’s Price School of Public policy offers a Master of Real Estate Development degree as well as a certificate in real estate development. Does the firm cover your listing advertisements? Do you notice a lot of For Sale signs from XYZ firms in the area? What do other agents have to say about XYZ firm? Does the firm offer training programs? If so, do they cover expenses? What is the commission rate and will you be paid immediately after a closing? Once you’ve decided on a firm, your next step is to find a mentor. Establishing a mentorship with another agent allows you to learn the ins and outs of the trade. Shadow your mentor and learn from his or her experiences. This is a great opportunity to ask questions, get advice, seek guidance, and learn what it takes to succeed in the real estate industry. 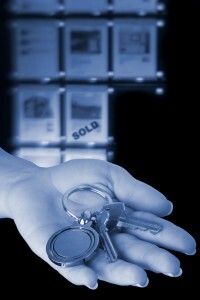 Successful real estate agents know the market and how to price real estate appropriately. They view comparable homes and other real estate for sale in order to help clients establish a competitive price. But gathering and understanding positive and negative information on real estate markets takes time and effort. You’ll need to do your homework. Study local pricing. Know the area and its values. Your clients want to work with someone who knows the business and the area completely. With productively tools like the Multiple Listing Service (MLS), you can find accurate market comparatives, days on market, tax information, and much more. Realtor.com: Access millions of homes from your phone! Trulia.com: Connect with clients, convert leads, and stay informed. Zillow.com: See homes for rent, sale, and share via Facebook, Twitter, and email. Redfin: Save photos, tours, find homes for sale, and much more. LoopNet: For the commercial real estate agent, access thousands of listings from your phone. Open houses still attract prospective buyers. They provide additional market exposure and an opportunity to network with potential clients and other industry friends. Keep in mind that showcasing a house is not as simple as putting an “Open House” sign in the front yard. You need to create a positive first impression by staging the house for sale. Work with your client to de-personalize the house, clear away clutter, tidy the yard, and remove bulky furniture. Set out bowls of potpourri or light a few candles. You want to make the house look larger and give it warmth. Some sellers are reluctant when it comes to removing items from the home, but a good agent knows how to get everyone working together. Building your portfolio is the most important part of the business. Asking for referrals and staying in touch with former clients keeps you in the game. And if you’re good at your job, your former clients will help your portfolio grow and thrive. Word of mouth is the best advertising there is! Properties for Sale/Properties Sold: Here you can provide links to all your current listings as well as sold properties. About Page: Include all your credentials, seminars attended, years in the business, etc. Buyers: How will you help clients find their dream home? Sellers: How will you help sell your client’s property? Additional Resources: This is a great opportunity to provide links to useful information in the areas you serve such as the schools, parks, library, etc. Continuing education is the way to get the skills and experiences you need to stay ahead of your competition. You can find a variety of different seminars and training sessions by asking your fellow agents, joining real estate associations, keeping tabs on REALTORS® events, and calling your state real estate board. Purdue University: Purdue University is a massive school that provides campus-based and distance learning programs. For students who seek an in-depth, global perspective on Real Estate, Purdue offers BSBA in Real Estate that looks at law and ethics, regulations, and policies and how they affect the market place. Looking for a real estate degree? Use the degree finder below, and we'll help you find a real estate degree.